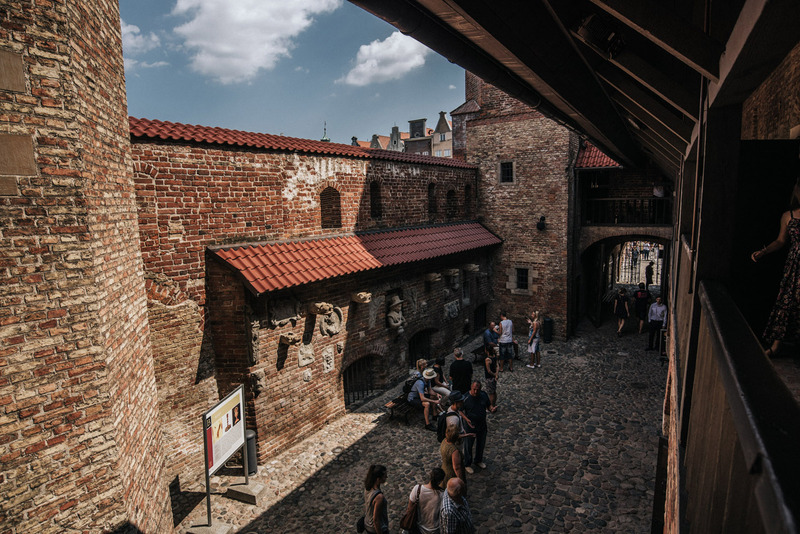 Katownia was first a one of the gates leading inside the city, later expanded and served as a prison, court room, it had also a torture chambers. 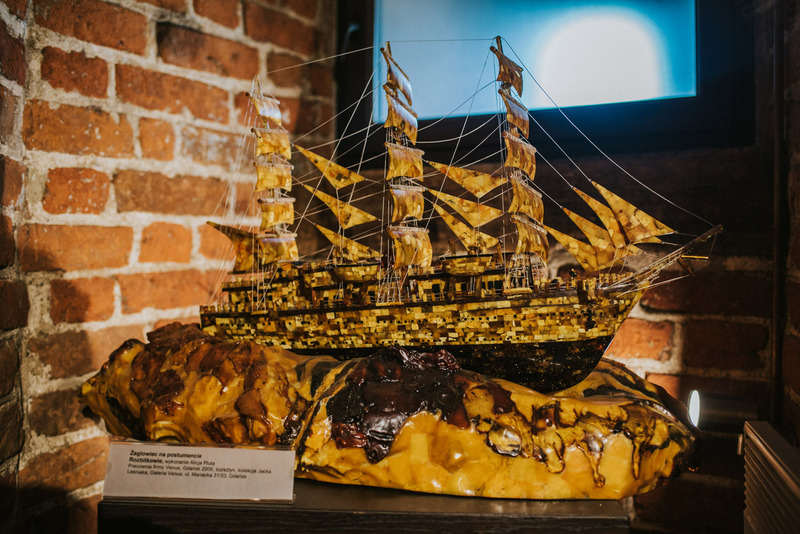 Now there is located Amber museum together with small museum of building history. Atop of tower is also a view point. In the same bulding, but at the ground floor is amber jewellery shop. 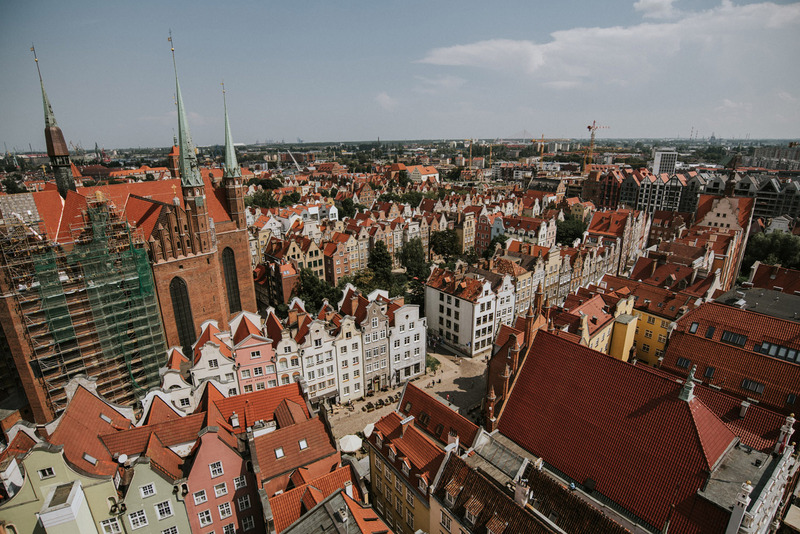 Katownia is located in Gdańsk’s Main City district at 54°20’59″N 18°38’50″E. 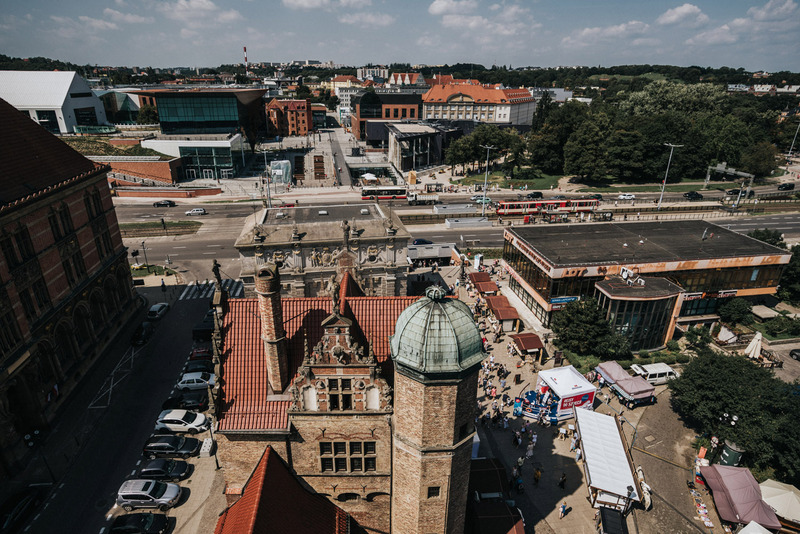 The fee for entrance to the museum is 12 zł plus 5 zł for the viewpoint. 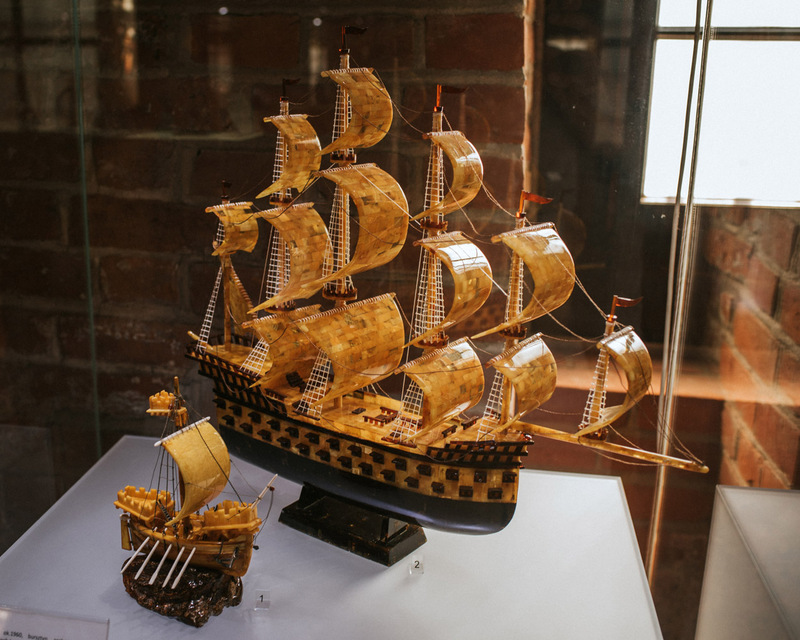 The sightseeing begins with the amber museum. 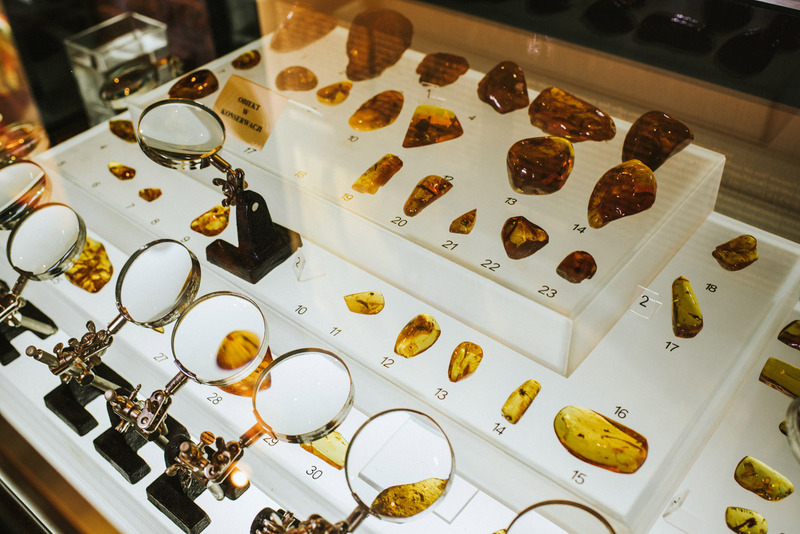 Amber is gathered in many places all around the world and each place has it’s own characteristic amber. 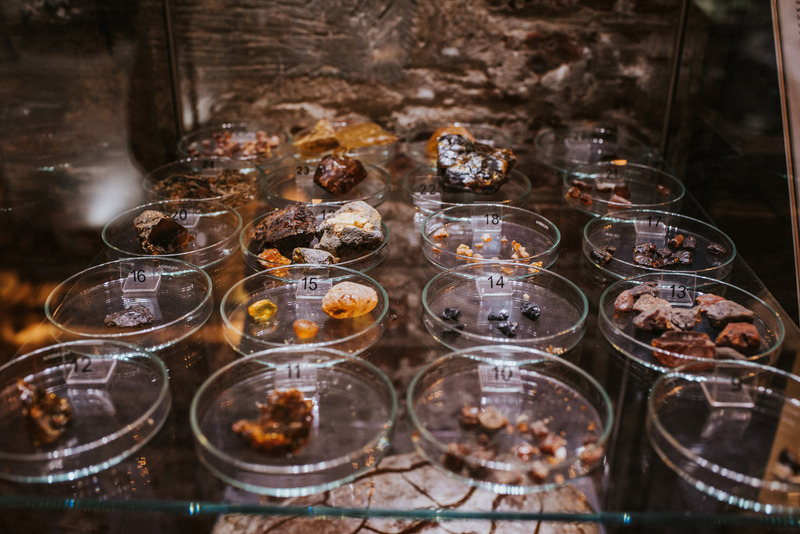 Amber is a resin that have fallen into a water and hardened. 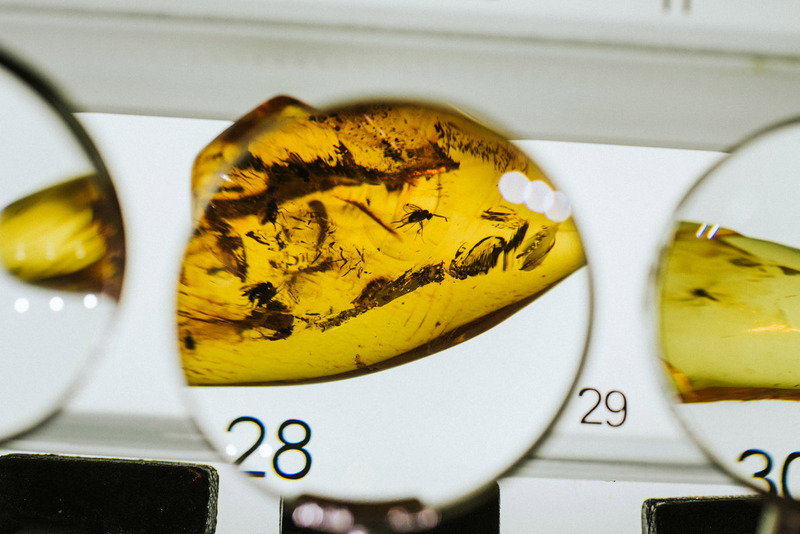 Sometimes an insect (in rare cases something bigger) falls into resin resulting in amber with preserved insect exactly how it looked millions of years ago. 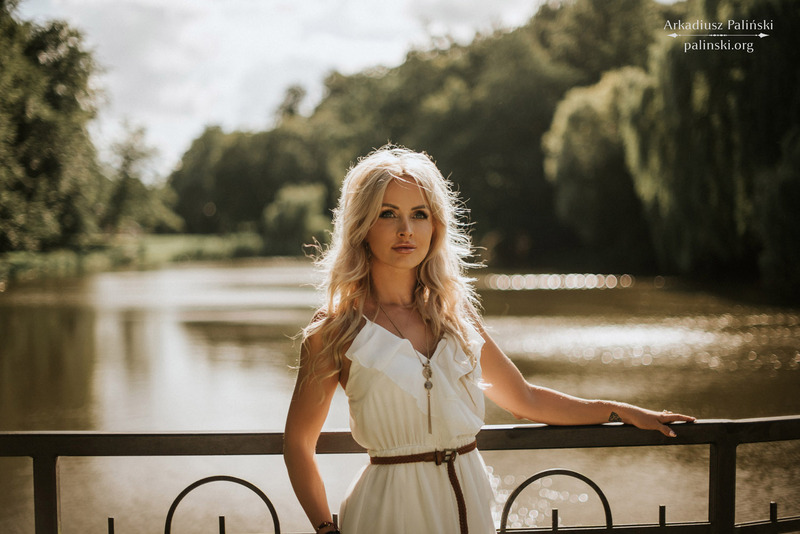 Throughout history a jewellery was made out of amber. 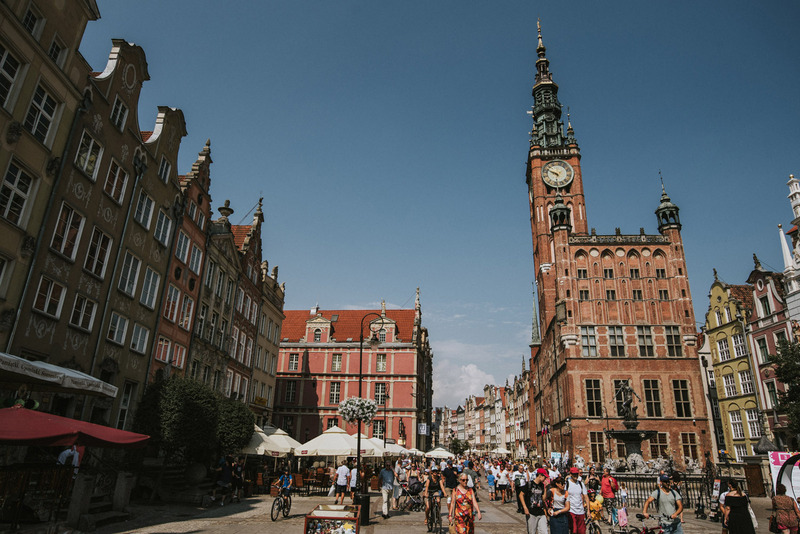 Because for a few centuries Gdańsk was the wealthiest city in Poland (and the wealthiest city on Baltic sea and one of the wealthiest cities in Europe), many amber jewelers lived here. 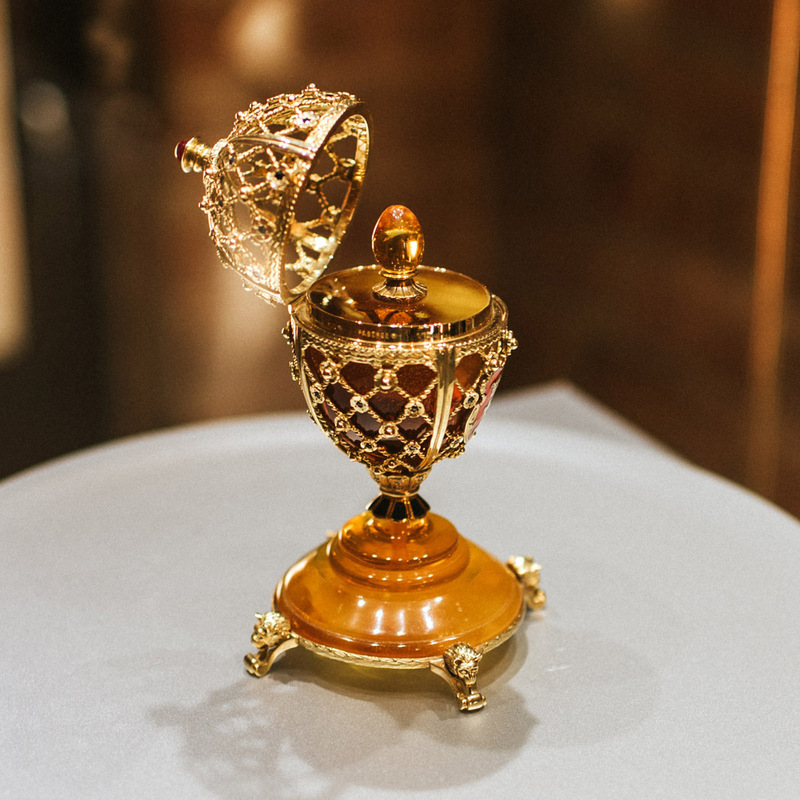 Amber variation of Fabergé egg. At the highest floor of Prison Tower a viewpoint is located. 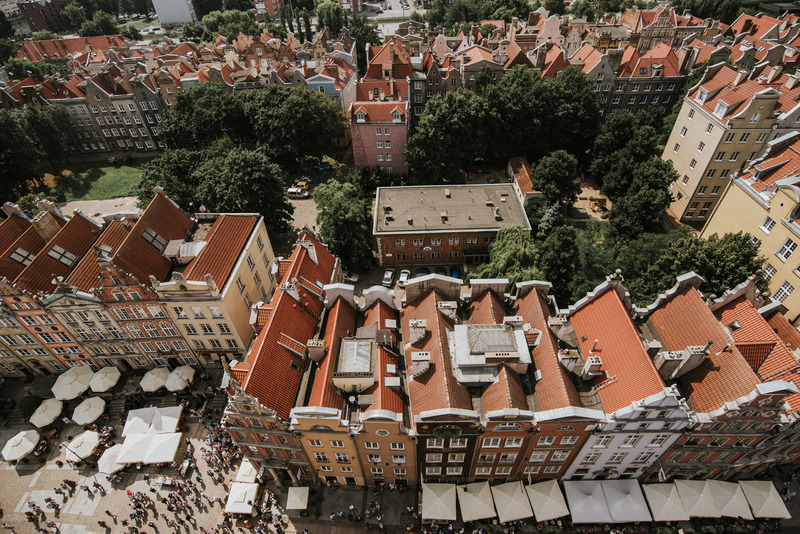 East view: at the bottom of the picture we can see parts of Katownia building, close to the Katownia is Brama Wyżynna (High gate), the whole complex of buildings just beside the street is shopping mall. 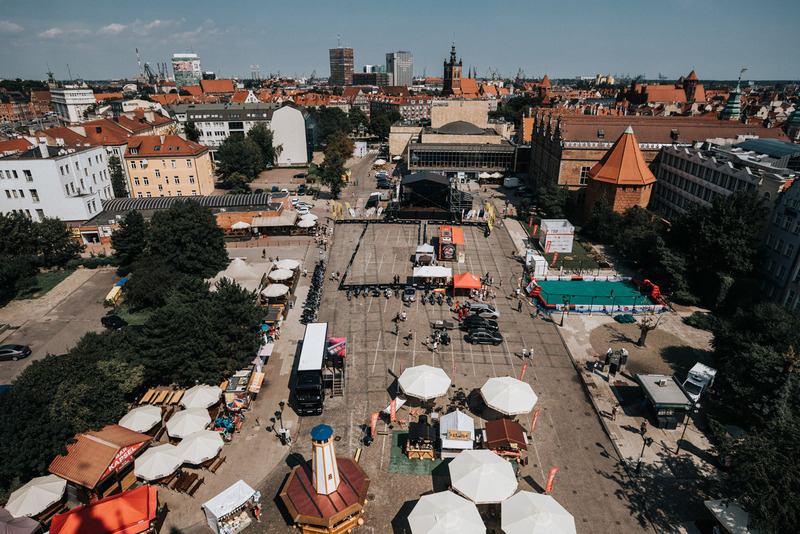 Northern view: the most part of this view is a square called Targ Węglowy, there is a scene and many merchants tents because i took the picture during St. Dominic’s Fair. 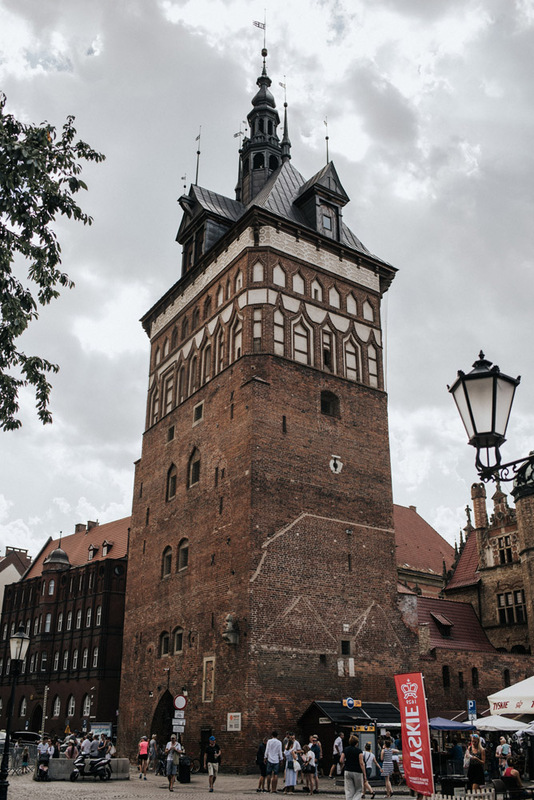 Behind the scene is theatre building (Teatr Wybrzeże) and behind theatre you can see the tower of St. Catherine’s Church in which The Bell Tower Clock Museum is located. Four roofs together at the right side is the Grand Armory. Western view: you can clearly see Złota Brama (Golden Gate) at which Long Lane begins with Main City Town Hall at the end of the street. On the left of Złota Brama is The Court of St. George Brotherhood. The big tower on the left is St. Mary’s Basilica bell tower. Smaller tower even further on the left is St. John’s Church bell tower. 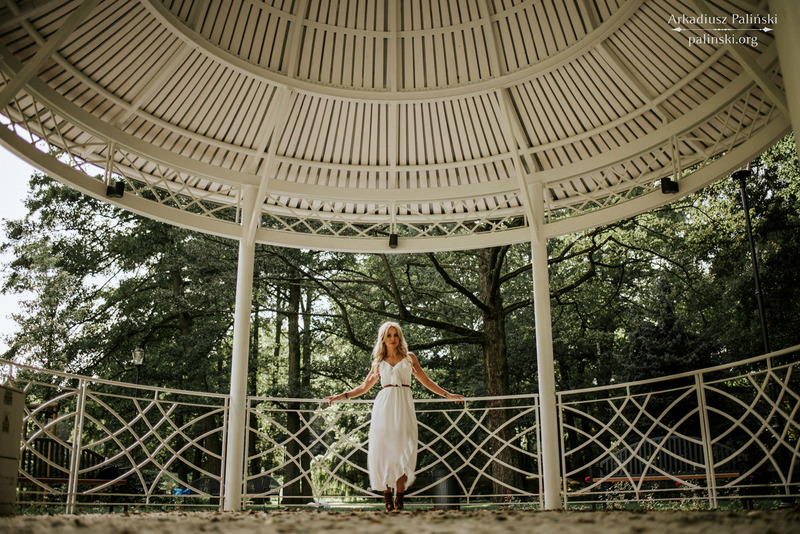 There is no souther view as it is not available for the public. 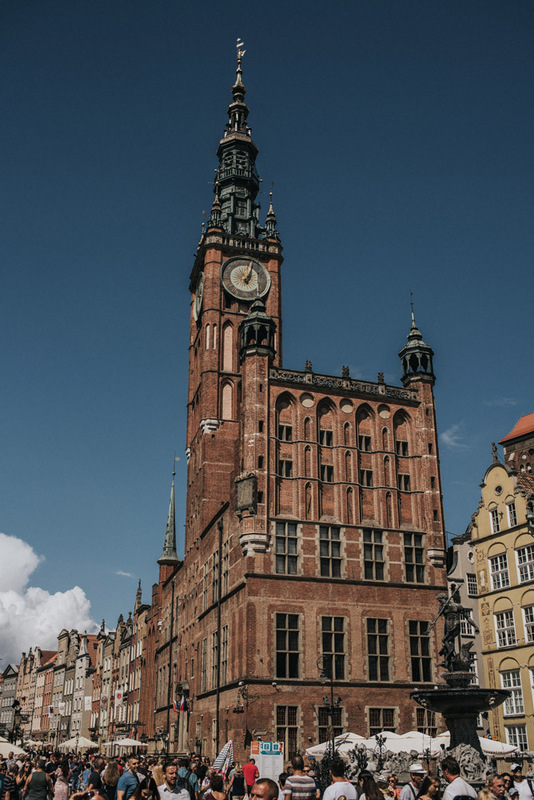 Gdańsk has two town halls – Main City Town Hall and Old City Town Hall. 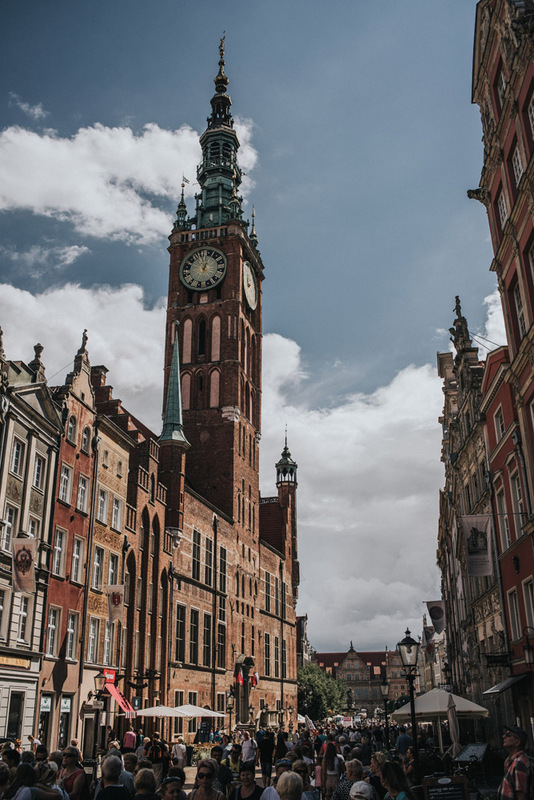 Main City and Old City are two different districts and often people refer to the Gdańsk historic center simply as “old city”, even locals do so. Main City Town Hall is located in Main City district at 54°20’56″N 18°39’09″E, near Neptune’s Fountain, just about the place where Long Lane and Long Market conects. Although if you ask about old city everyone will point you roughly to this place. Building started in 1346, but in 1378-1382 it was rebuild, tower was added in 1486–1488. Around 1537 it was again extended and since then it has it’s todays shape. Entry ticket to the town hall is 12 zł, entry to the Pile Gallery (Galeria Palowa) costs 6 zł (there was amber jewellery exhibition at the time, when i was there) and entrence to the tower costs 5 zł. On mondays entrence is free. 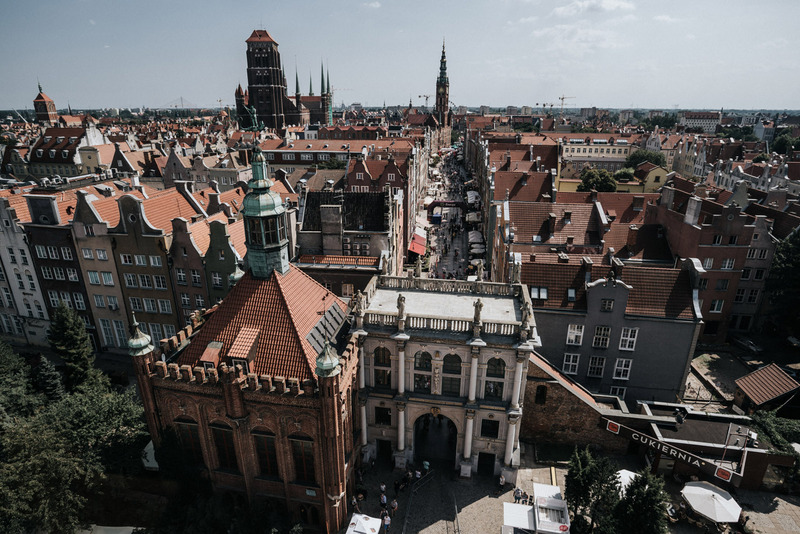 You can also buy group ticket to the eight Gdańsk museums for 50 zł. In 1556 fire damaged the town hall and it had to been rebuild again, this time a 14-bell carillon was mounted on the tower. 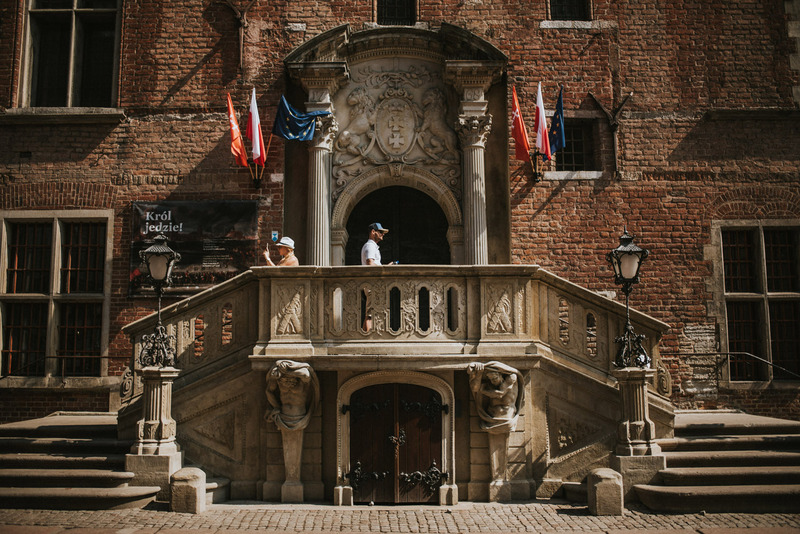 During second world war town hall was severely damaged, repairs were performed in years 1946-1970 and are considered one of the greatest and hardest building reconstructions after the war. In year 2000 a new, 37-bell carillon was mounted on the tower. 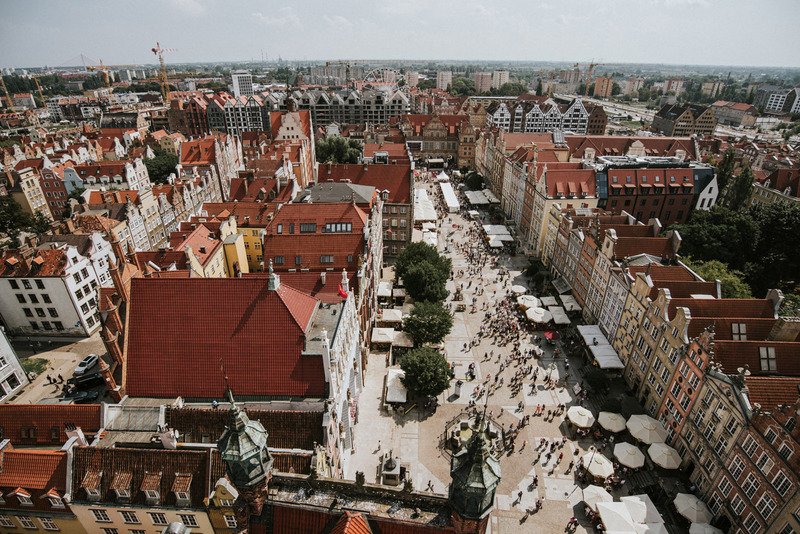 During renaissance Gdańsk was the richest city in Poland. 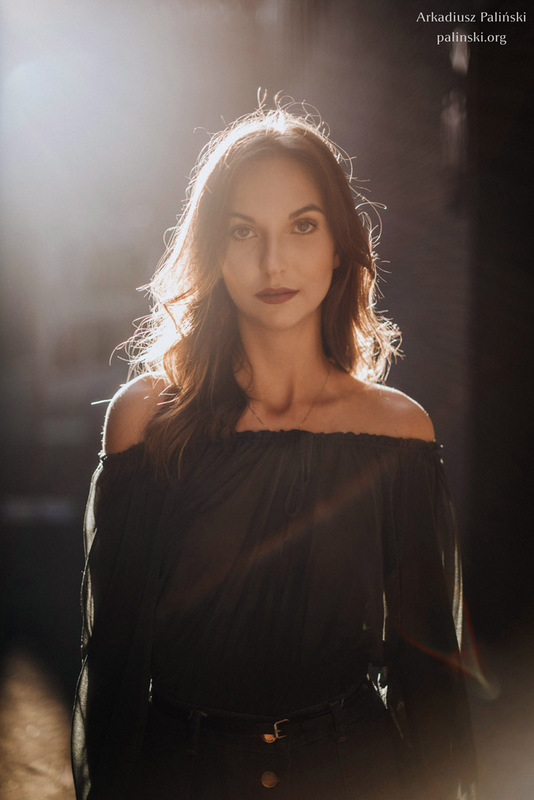 Of course it has to show off and it starts with the stoop. 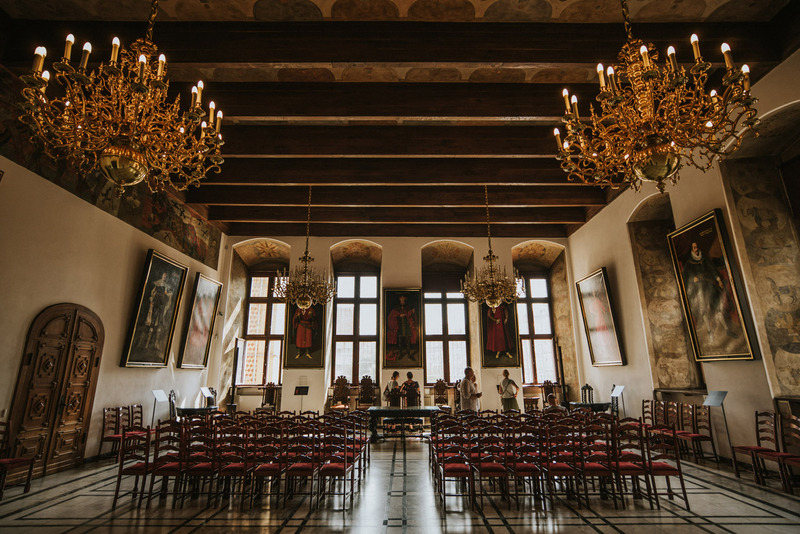 Great Hall of Court (Wielka Sala Wety), also called White Hall (Sala Biała). 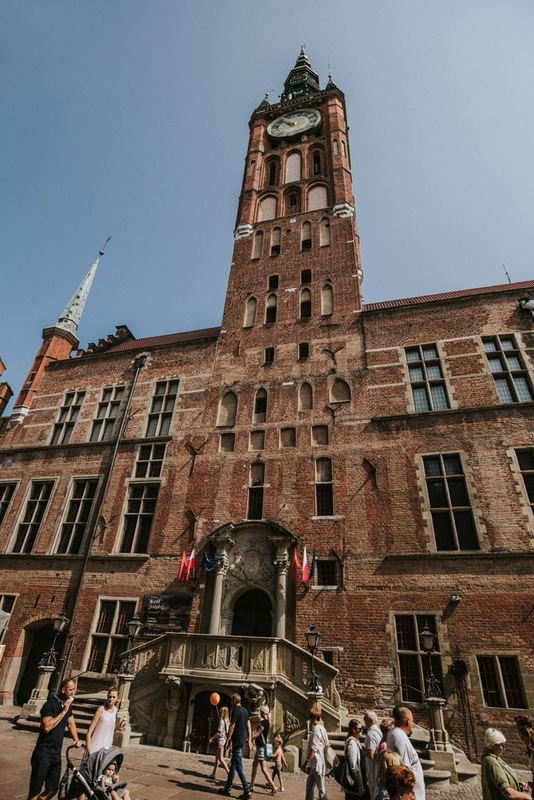 This is the most representative hall in Main City Town Hall, this is the hall in which court was sitting, king’s (and his representative) audiences happened and also Gdańsk citizenship granting ceremony happened. 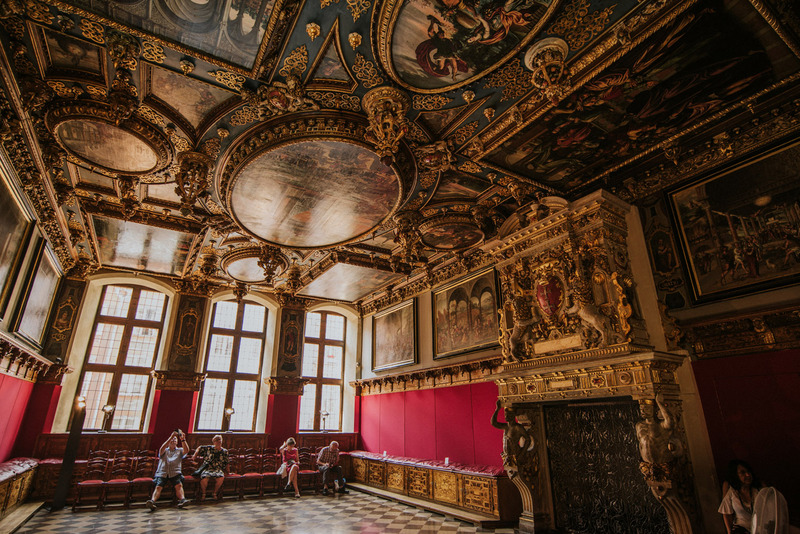 This is the hall in which most Gdańsk treaties and agreements were signed. 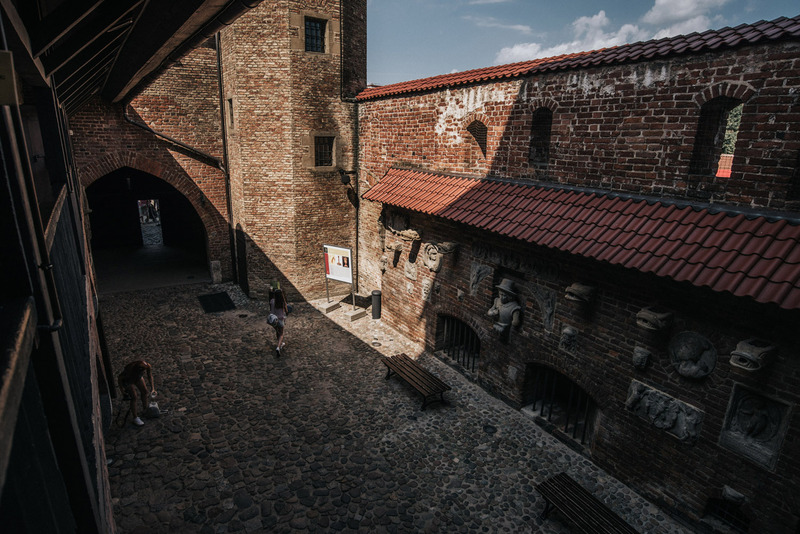 At the walls you can see paintings of Polish Kings. 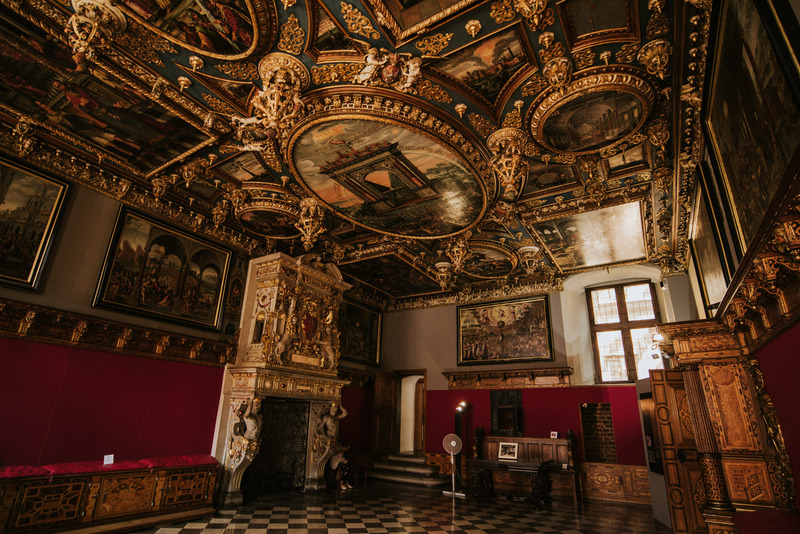 Red Hall (Sala Czerwona). In this hall the city council was debating. Just look at the ceiling. 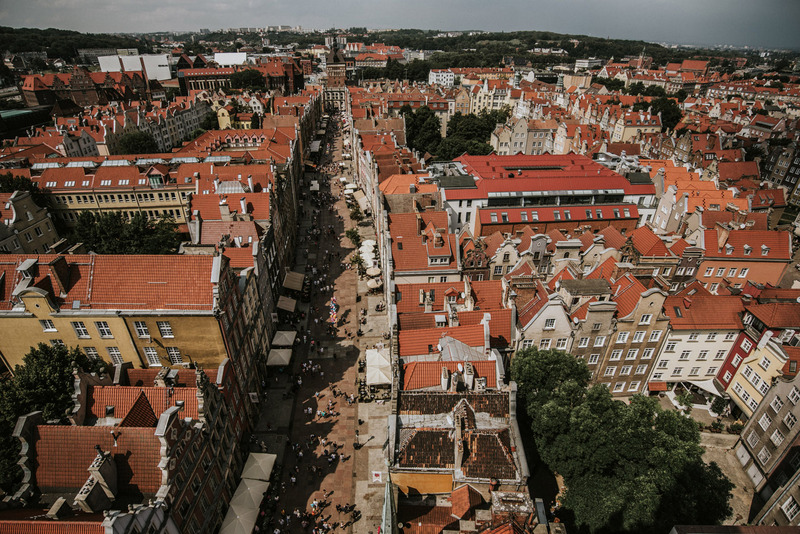 I also recommend going to the tower, you have great view over Gdańsk. Tower is 83,5 meter high and you can go to the part above clock. 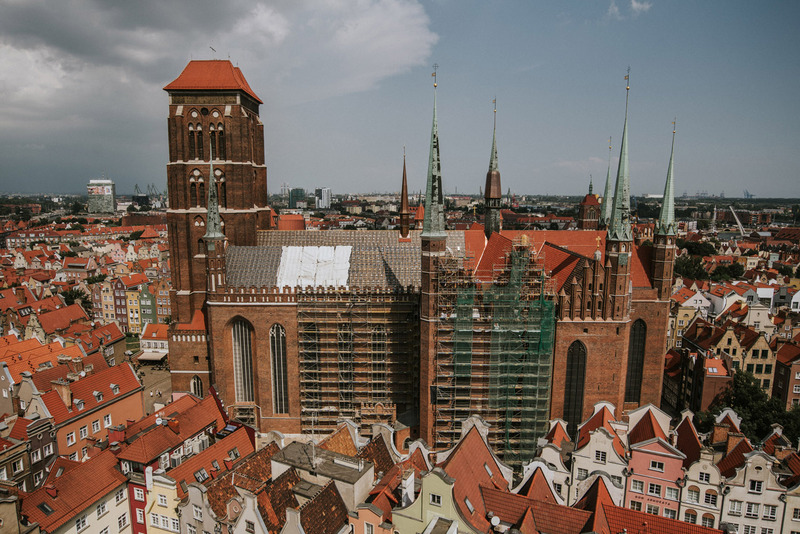 It is the second highest building in the Gdańsk historic center, only St. Mary’s Basilica is higher. Western view: you can clearly see Long Lane ending with Złota Brama (Golden Gate). Even further you can see Katownia. Southern view: this is the view on the tenements called kamienica (plural kamienice) alongside street. The narrow street on the bottom right side is Long Lane and the wide street is called Long Market. East view: Long Market street ending with Green Gate. Behind Green Gate is river Motława and on the other side of the river is Granary Island (with that awful fairy wheel) with a lot of new hotels being build on it. Northern view: to the north you can see St. Mary’s Basilica, now under renovation. But if you look at north-east you will also see Chlebnicka street ending with Chlebnicka gate.